Mashed potatoes are one of those seemingly simple dishes that can go wrong in a myriad of ways. Without proper care, they can turn lumpy, gluey and bland. There are, however, steps you can take and pitfalls you can avoid to ensure your mashers come out smooth, velvety and delightfully fluffy. For fluffy smashed spuds, you want a starchy, not waxy potato, like Sebago, Coliban or Desiree. You can mix varieties, but personally, I favour an all-Sebago situation because they are cheap, ubiquitous and grab onto fatty ingredients enthusiastically. 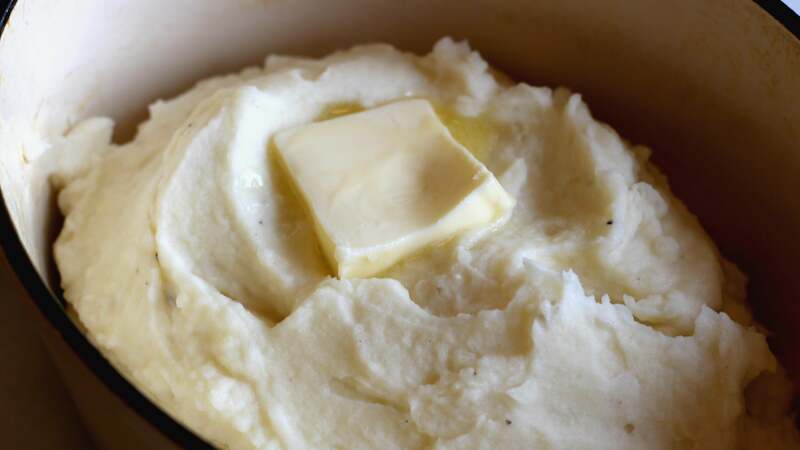 After draining your potatoes, return them to the hot pan and cook for a couple of minutes to drive off any excess water, because watery mashed potatoes are no fun at all. You want your butter to be room temperature, and your milk to be warm. Cold ingredients aren't the end of the world but they will cool down your mash and require more agitation to get fully incorporated, and too much agitation can lead to glue-y potatoes. Rather than toss a bunch of raw, chopped herbs in at the end, place a couple of sprigs of thyme or rosemary in your milk or cream, and let it infuse over low heat while your potatoes boil. Do you want a pile of potato glop? If yes, try mashing your potatoes in a food processor, which will obliterate the starch granules and leave you with a glue-y pile of spud muck that is the opposite of the fluffy spuds you crave. I am not a fan of ricing super starchy potatoes. They come out lump-free to be sure, but the mouthfeel veers dangerously close to that of instant. As such, I reserve my ricer for waxier potatoes, and use a regular masher on the starchy guys, which come out fluffy and virtually lump-free without any ricing. As with pasta, adding salt at the end is not enough for properly seasoned spuds. Season your cooking water just as you would with spaghetti, so that it is "salty like the sea". Bring a large pot of very salted water to boil and add the washed and peeled potatoes that have been cut into fairly uniform, approximately 3cm chunks. 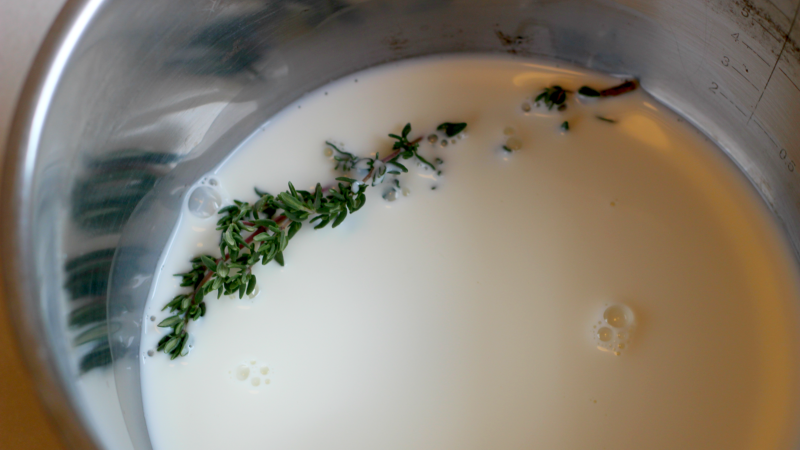 While the potatoes are cooking, heat your milk (with herbs or without) over low heat, stirring occasionally so a skin doesn't form. Let the potatoes boil until a thin knife can pierce a chunk with barely any effort on your part, then drain the water off in a colander. Reduce the heat to medium-low, and return the potatoes to the pot, cooking and stirring them for a few minutes to drive off excess water. Give the potatoes a few mashes with a potato masher (or use a ricer for waxy potatoes), then add your warm milk, butter and mayo (if using). Give everything another couple of mashes, then stir with a wooden spoon to smooth everything out. Taste, season with salt and pepper if needed, and serve immediately with even more butter. Add in parmesan cheese while mashing. Yum! I wouldn't use the mayo but if it floats your boat go nuts. I like garlic with mine so I use garlic salt when boiling the potatoes. If you want to add back in the earthy flavours of the potato skins after you have peeled the potatoes, you can infuse the milk with the potato skins too. If the skins aren't too coarse, I'd give the potatoes a quick scrub and include the skins.